Keeping your dance partner satisfied is not as difficult as you may think it is. Start off by being yourself, making the most of what you do know, and mastering your basic techniques. If you want to be a seasoned, incredible lead, there are certain skills out there that are crucial in making your partner feel like a million bucks on the dance floor. 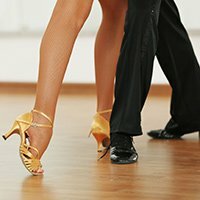 Read on, practice your techniques, and your female dance partners will always be happy! Cuban Motion is responsible for giving dancers a soft swaying type of look that you frequently see in Latin dancers. It’s a relaxed look that not only gives the dance a more authentic and smooth feel but it also comforts the viewer. There’s nothing quite like dancing with someone with great Cuban motion! To develop your Cuban Motion techniques, sit in a chair and imagine there’s a rope around your ribs and that you’re holding each end of the rope in either hand, with your hands at your sides and extended out from your ribcage. With your right hand, gently pull the rope to the right. Then, with your left hand, gently pull the rope to your left. Go back and forth. This ribcage movement is the basis of Cuban Motion. As you move from side to side, lift only your elbow in the direction you’re pulling, not your shoulder. When you’re standing and doing this in a basic, as you step, your ribcage will move in that direction and your elbow will go up (again, not your shoulder). With every step, your ribcage will stretch, your elbow will go up, and your weight will be on your bent knee. It’s a smooth swaying motion that will help you look incredible on the dance floor once you’ve got it down. Shoulder Blade – His right hand will be on her left shoulder blade. Elbow Area – Her right arm will rest on his left elbow. His Shoulder – Her left hand will rest on his left shoulder. Hands – Her right hand will rest inside his left hand. Alternatively in Open Position, the woman gently runs her right hand down his left arm and rests both of her hands inside his (which should be at or just below his belt). It’s similar to sitting at a computer keyboard in an ergonomically correct position. Her arms will be completely relaxed and his two middle fingers will press very softly into her palms. This creates a beautiful and comfortable connection. Proper body tension is an incredibly important part of a fabulous lead. Women crave leads that make them feel like you are going to take care of them effortlessly. The woman must make sure she’s connected with just the right amount of tension, not too soft or too strong. This is something I’ve explained in the Beginner’s Instructional video. Essentially, the connection with your partner is based on a numbering system from 1 to 10. To find the perfect tension, face your partner and press your palms against hers at eye level for about 20 seconds. On the scale, 1 is the lightest pressure and 10 is the strongest. Try pressing at a number 8 – it will be very uncomfortable for both of you. Now, try pressing at a number 2. Your fingers will barely be touching. At a number 1, there will be some airflow between your fingers. Try a number 5 and bounce both of your hands up and down while still pressing against one another. At this point, you’ll be able to feel each other’s energy between your hands. You’ll feel a very easy tension, that’s firm but light, between the two of you. This level of connection should be used for each of the four points of connection in Closed Position and during the arm brush of Open Position. To be an amazing leader, you need to understand how and when a woman steps and turns and you’ll also have to accommodate her throughout the entire process. When you’re learning turn patterns, pay attention to how the instructor teaches the female footwork. You’ll need to carefully watch the woman’s steps so you can be the best leader. As I said before, remember to accommodate her. She is the most important woman in the world to you during this short time. Make her feel special and treat her like a precious gem. You’ll want to be very careful and avoid prematurely turning or spinning a woman without giving her a chance to prepare. Make sure you know where she places her feet before a turn. Spin her above her turning-foot axis. For example, on a cross body lead with an inside turn, you’re going to spin her above her left foot on count five (if counting on the one), because this is the foot she plants prior to making her left turn. Remember that there is preparation before every turn. When you allow for this slight pause, her body will stay in balance and you’ll be able to complete a relaxing, but higher speed turn without yanking her arm toward you prematurely. Regardless of which beat you’re on, the preparation is usually before a turn. Give her a chance to prepare before turning her. This is a topic I’ve covered in great depth on my World Famous Spins video. After the turn, place her arm gently down in front of her. Don’t pull her arm back toward you or your face. If you have to throw her arm behind her back for a certain lead, or place her into a Cumbia step with her arm behind her back, put her hand on her tailbone. 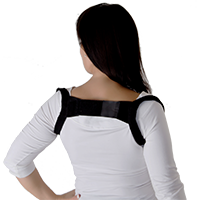 Don’t yank it way up high between her shoulder blades like you’re placing her under arrest. It’s all about her comfort! She is the picture and you are the frame. When she applies Styling, her fingers are the brushes that paint that beautiful picture. Speaking of Fingers – Namely The Thumbs! Guys, remember this very important tidbit – do no press on the backs of her hands with your thumbs! If you have to (maybe because she is a beginner and not holding on by applying the Number 5 Connection downward), then press very gently and only in emergencies. On too many occasions, I have woken up with thumbprint bruises on the backs of my hand due to the enormous amount of thumb pressure from dancers the night before. Believe it or not – she’ll follow you much better and be much lighter if you don’t press your thumbs into the backs of her hands. You’ll be pleasantly surprised when you try it! When you combine all the elements above, you’ll be an incredible lead even in the simplest of basics. Put a Number 5 Connection with a little Cuban Motion, and you’ll satisfy every woman on the dance floor all night long!